Veteran Congress leader Narayan Datt Tiwari on Saturday became unresponsive when he was being given physiotherapy and was shifted to a hospital in Delhi. 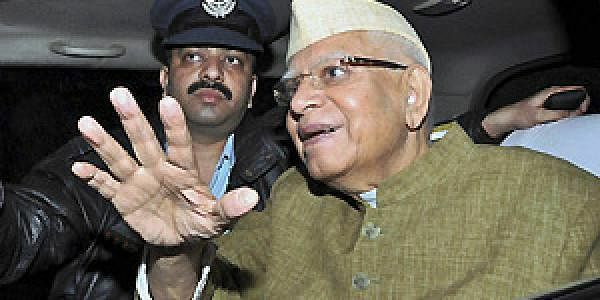 NEW DELHI: Former Uttar Pradesh chief minister N D Tiwari today became unresponsive while being given physiotherapy at a private hospital here and was shifted to the ICU, his aide said. The 92-year-old politician was admitted to the hospital on September 20 after suffering from a brain stroke. "At 4 pm, Tiwariji became unresponsive while being given physiotherapy. His son Rohit Shekhar Tiwari, who was present, alerted a team of doctors immediately," the aide said. Tiwari was then shifted to the Intensive Care Unit (ICU). He said various tests were carried out and the reports would be available by tomorrow. Tiwari was admitted to the ICU of the Max Super Speciality Hospital in September. Later, he was shifted to ward following improvement in his condition. Earlier this month, he was again moved to the ICU after fall in his blood pressure and was put on life support but was later shifted to a room on November 15, the aide said.